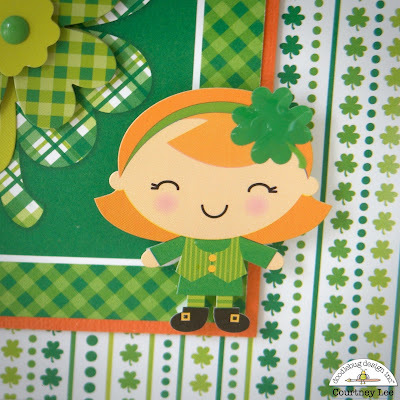 Top o' the mornin' to ya, doodlebug fans!!!!! 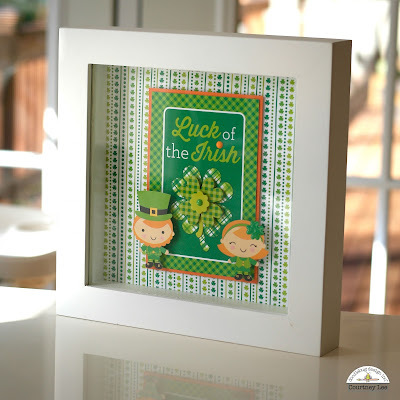 Courtney Lee from Court's Crafts here with a lucky St. Patrick's Day home decor piece using the brand new pot o' gold collection! I am a redhead and I LOVE St. Patricks Day. 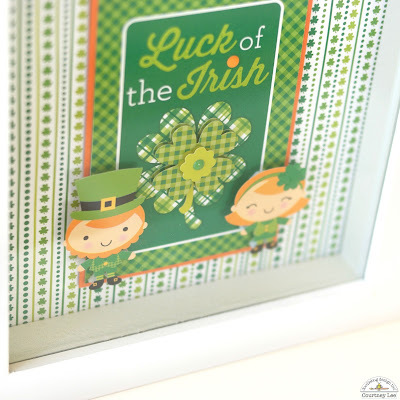 It dawned on me that I had a shockingly small supply of home decor for this most-green-of-holidays. 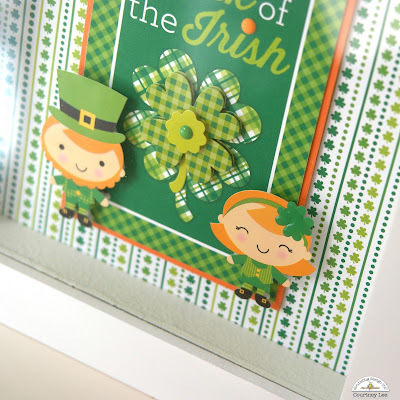 ;) Doodlebug to the rescue!!! 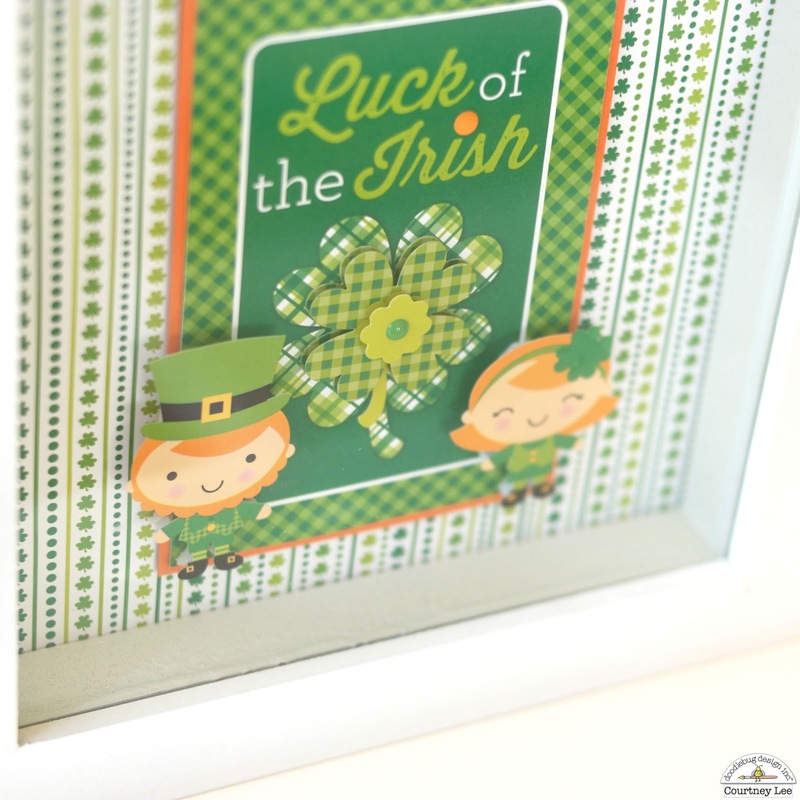 I saw this "Luck of the Irish" 4x6 inch card and went straight to work! Then I had to add some sprinkles because I am just in love with sprinkles. I added the shamrock sprinkle to "my" leprechaun girl to give her headband some extra umph. 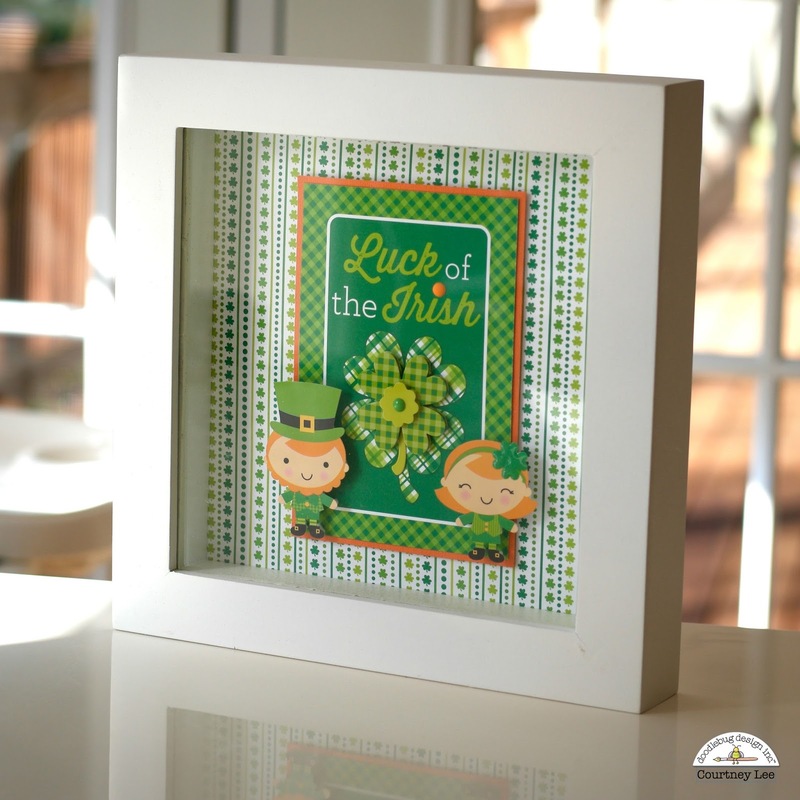 I hope this inspires you to make something for St. Patrick's Day that you can display and love as much as I love this little piece! 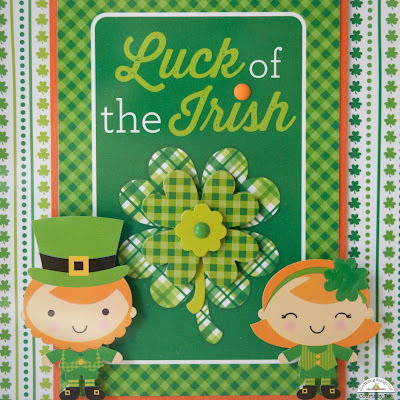 Pick up some pot o' gold! You will love how well the collection flows together! So adorable Courtney! I love how the stickers match you!